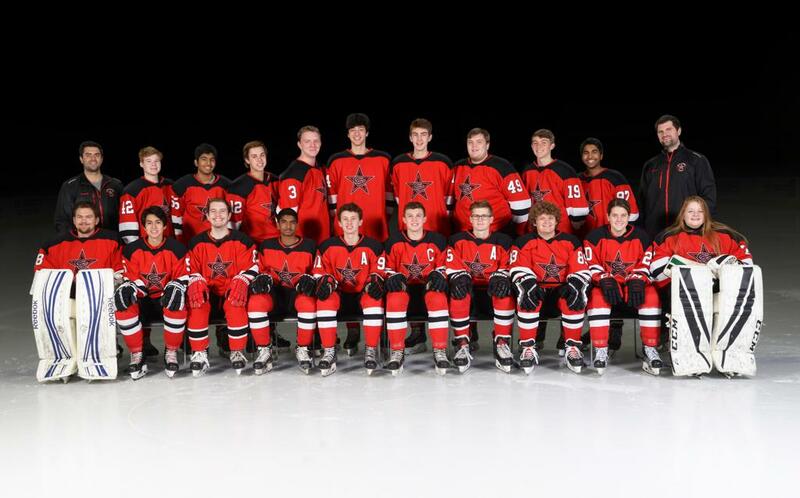 The annual Coppell Hockey Banquet will be held on Friday, April 26th at Venue Forty50 in Addison. The Association covers the cost of every player and one guest per player. Additional family, friends, and Hockey Honeys are invited to join at a price of $35 per additional guest. Registration is open through April 18th at midnight. Once you have registered, you will receive an online invoice from Square for your additional guests. The buffet will open at 6:30PM so plant to arrive around 6:15PM to check in. A vegetarian Sloppy Joe option is available. 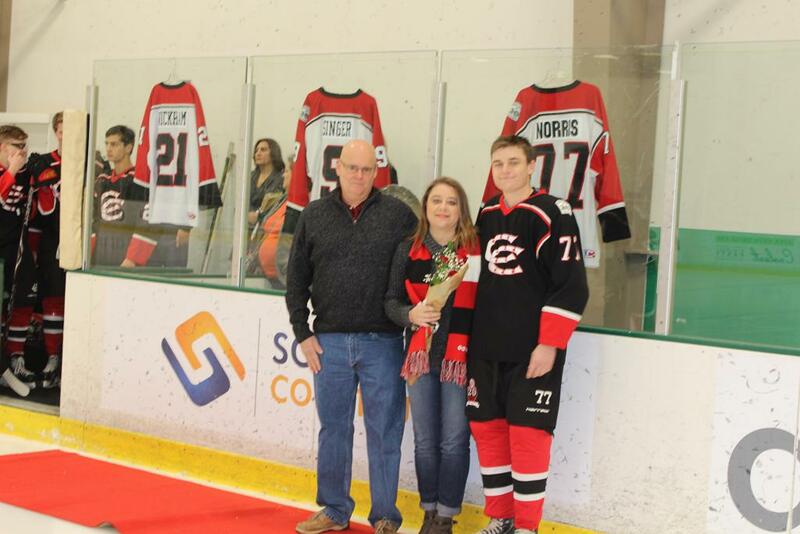 The puck drops on April 28th for the Summer Season of the AT&T Metroplex High School Hockey League. The season will run through July 14th with playoffs on July 21st and July 28th. Coppell will have JV and Varsity teams for the summer. The cost for summer hockey is $325 per player. 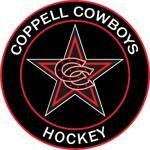 Registration and payment for the Coppell Hockey summer season will be completed through the Coppell Hockey web site. Summer-only and new players need to purchase a set of Red and White practice jerseys and a pair of red game socks. An order form will be sent separately to summer-only and new players. There is no requirement for summer-only and new players to have a red helmet for the summer season...wear what you have. Games will be on Sunday afternoon/evening at various DPSC locations. Home Teams will play at DPSC Rink nearest to their school whenever possible. Thank You for making our 2019 Texas Hold'Em Poker and Blackjack Tournament Fundraiser such a great success! October is Breast Cancer Awareness month which is an annual campaign to raise awareness of breast cancer and funds for research. 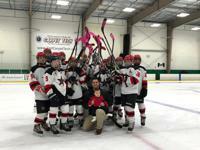 For the last two games in October, the Coppell Varsity and JV teams showed their support for the fight against breast cancer as the players tape their sticks pink in honor and support of those who have fought and are still fighting. Varsity South Summer Championship - Coppell lost to Highland Park 5-2. Congratulations to our Summer Varsity Team for a great season! GREAT OPPORTUNITY FOR A GREAT CAUSE! We would like to take this opportunity to thank everyone for supporting the Amy and Michael Staples Memorial Foundation! To perpetuate Amy and Michael’s legacies by creating a self-supporting and perpetual endowment that will be used to support the causes and communities that were so important to them. They shared a truly unique life-journey that engaged them with many important and special causes that undoubtedly helped foster their incredible mother-son bond. The AMSMF endeavors to illuminate Amy and Michael’s footprints to assist anyone else that can benefit from the path that they forged with their special bond and super-human strength. 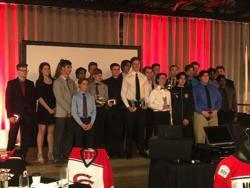 Players, parents, family members, coaches, and friends, Thank You for making the 2017-2018 Coppell Hockey Banquet such a success! Special thank you to all of those who volunteered to help set up such a wonderful event. 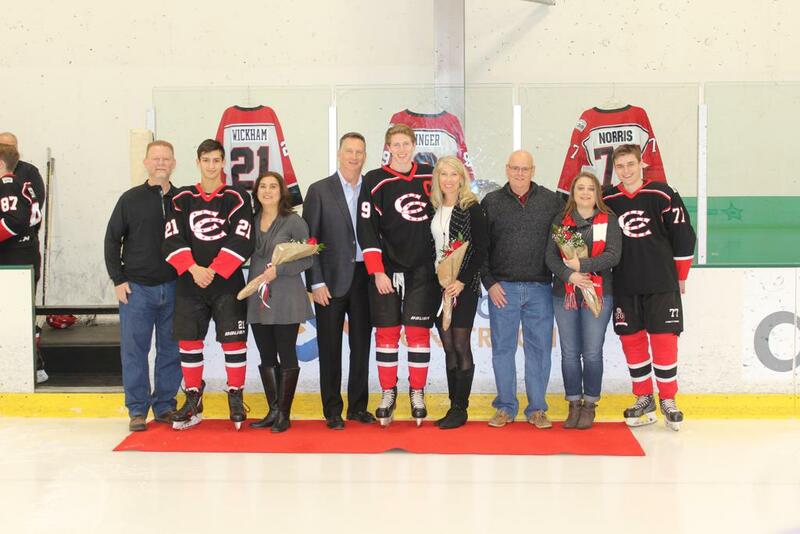 We would like to recognize our Seniors and Award Winners from the 2017-2018 Coppell Hockey Banquet. Please join us in congratulating Adam Singer and Liam Moore who were selected for the 2017-18 AT&T High School Hockey League Varsity All Star Team! Congratulations to Coppell's own Liam Moore and Austin Thurman who will be advancing to the National Championships with their travel teams! We would like to say "Thank You" to everyone who made our 2018 Texas Hold 'Em Fundraiser successful. Parents, family members, friends, players, and coaches we could not have done this without you. 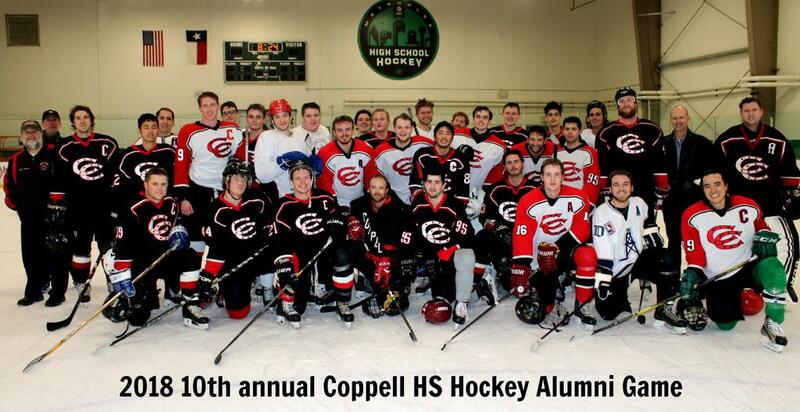 Thank you for your continued support for the Coppell High School Hockey Association! The Dallas Stars retired the jersey of Jere Lehtinen on Friday, November 24th when they hosted the Calgary Flames. Jere’s number 26 was the fifth jersey to be retired by the franchise and the third retired since the team moved to Texas. Lehtinen played his entire fourteen year career with the Stars and was one of the game’s great two-way forwards. He was a three-time Selke Trophy winner, a four-time Olympic medalist and a Stanley Cup Champion. 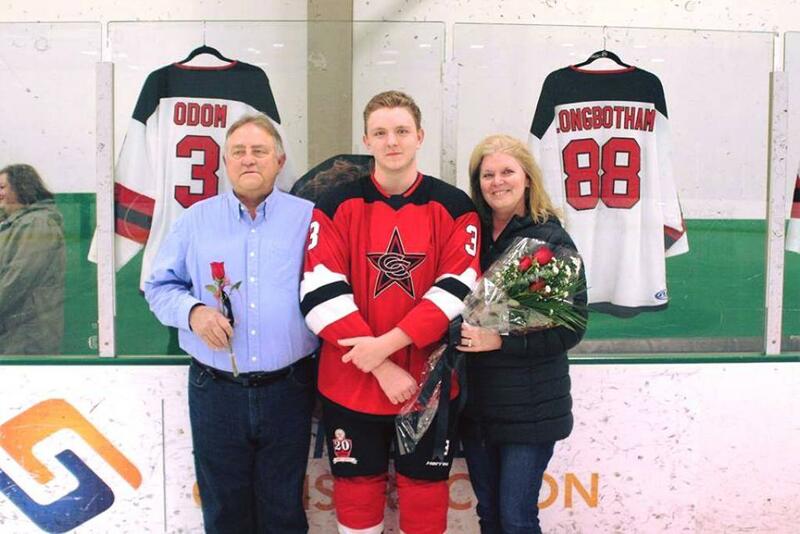 While Lehtinen helped introduce the city of Dallas to the game of hockey, he also had a profound impact on youth hockey in Coppell and the DFW area. 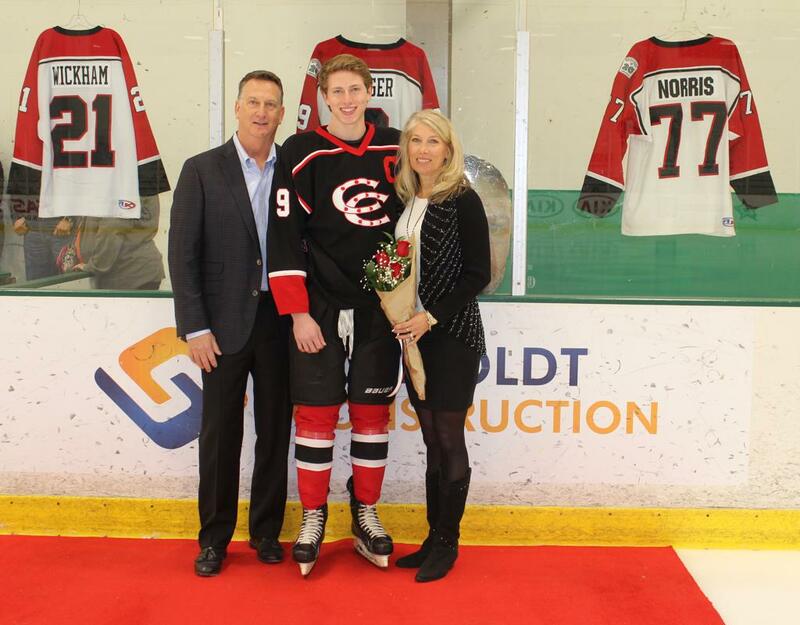 Jere and his family lived in Coppell during his playing days. 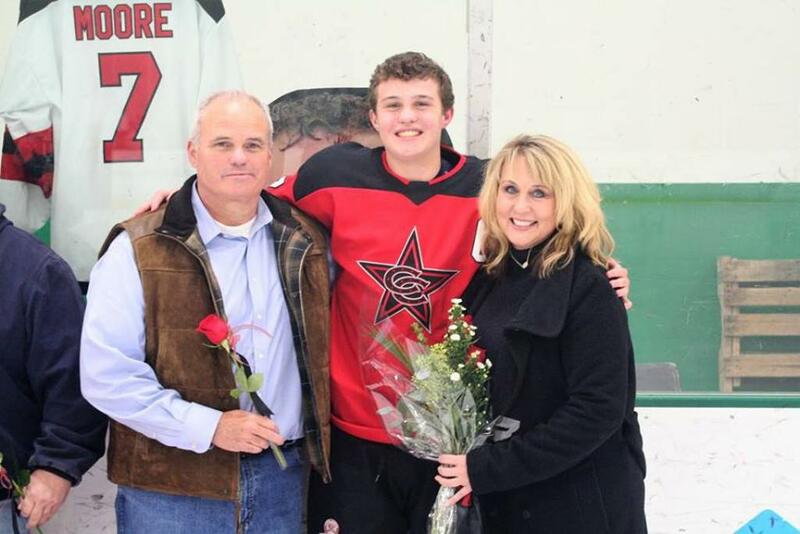 His son was learning to skate and play hockey at the time, and Jere often volunteered as an assistant coach for mini mite, mite and squirt teams at the Dr. Pepper Stars Center in Farmers Branch and Valley Ranch. Lehtinen, never one to seek the spotlight, quietly helped teach the kids the fundamentals and to love to play the game of hockey. Many of the boys took to wearing Jere’s signature yellow skate laces during their practices and games. 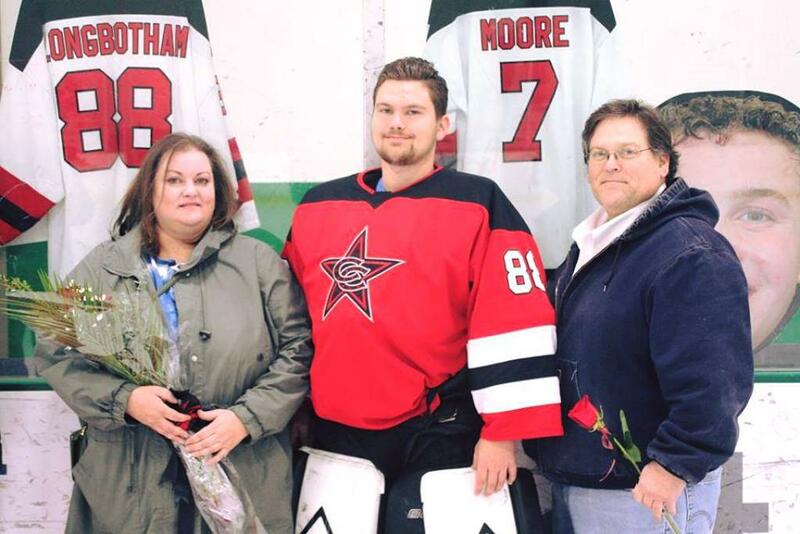 Lehtinen’s impact on youth hockey continues to this day with former mini mite, mite and squirt hockey players scattered throughout various Tier 1 and Tier 2 travel, house league and high school teams in the area, including Coppell High School Hockey players Trevor Moore, Vineet Madur, Erik Masengill, Austin Thurman, Sam Norris, Donovan Burdette, Jacob Smith, and Gibson Duhe. 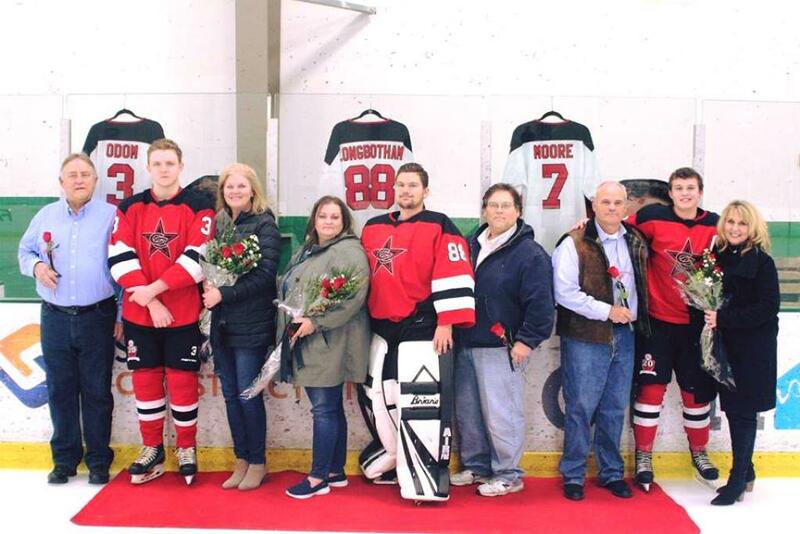 Congratulations to Jere on the retirement of your number 26 with the Dallas Stars, and thanks for all you did to encourage and support the development of youth hockey in Coppell and DFW. 2018 Texas Hold 'Em Fundraiser - Thank You! 12/21/2017, 3:15pm CST , By Admin. 2017 CHSHA Texas Hold 'Em Poker Tournament - THANK YOU! 01/21/2017, 5:30pm CST , By Admin. 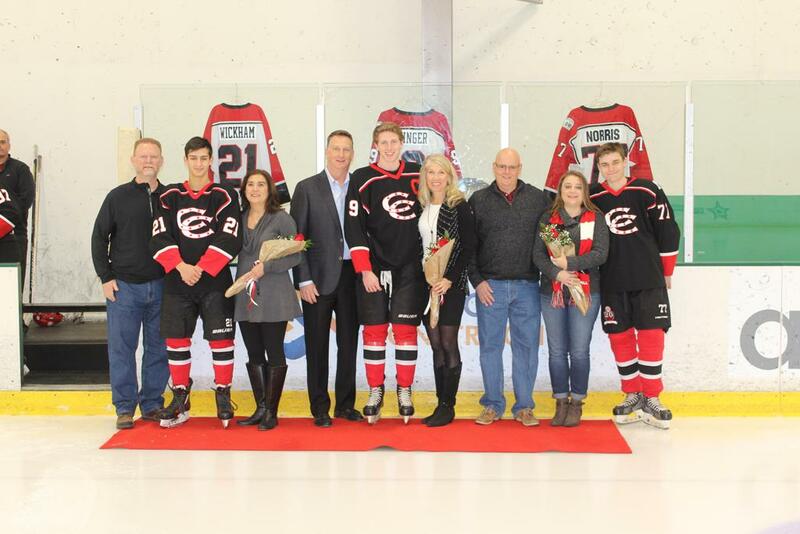 Thank You From Coppell Hockey! 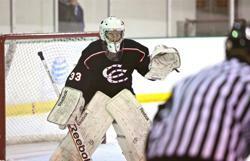 Want Coppell Hockey Events on your Mobile Device? On the calendar page, at the very bottom of the calendar, subscribe to the RSS and iCal Feeds. The RSS feed will send any article updates to an RSS Reader (Outlook, Google Reader, etc.) 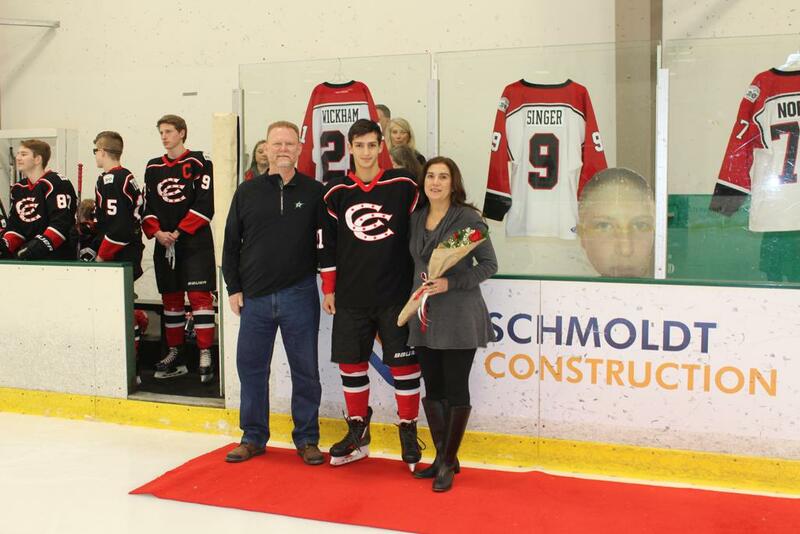 as they are posted on the Coppell Hockey web site. 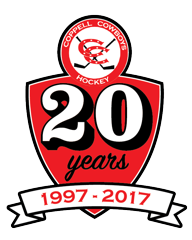 The iCal feed will automatically update the calendar on your iPhone or Blackberry, in Outlook and many other calendar apps with Coppell Hockey calendar events. 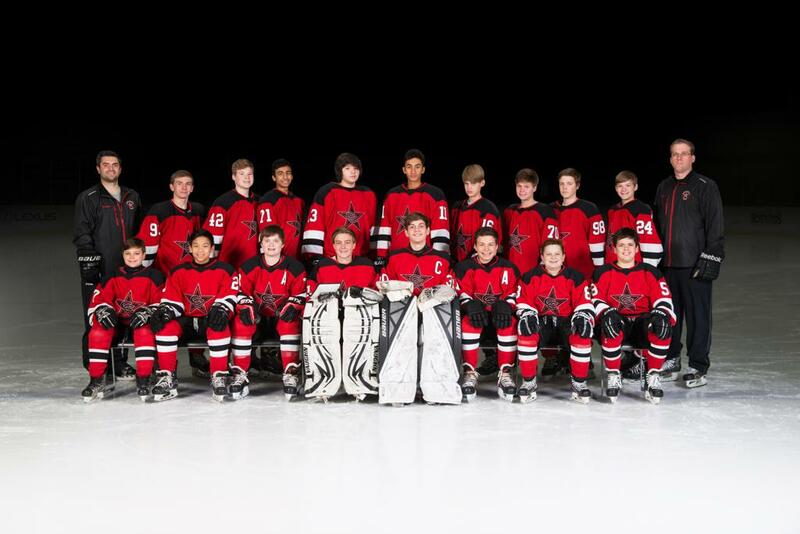 Help us keep you up to date with all the latest Coppell Hockey News and Events!